There are many occasions when a Black Limo Service is called for, and the first and foremost would be a funeral. The dignity of a funeral procession is greatly enhanced by the stream of stately black limousines. At this time in a bereaved family's life, the most important thing is their comfort and serenity. Our quiet and smooth- running black limos are the perfect answer to these difficult needs. Other times when one of our black limos is required include corporate events and formal occasions, when luxury and comfort are top priority. Taking corporate clients to and fro means taking them in style, and that is where our black limousine service fits the bill. Almost any function that is at all formal would require a fine vehicle for the evening. Our black limo service has been operating for many years and we are well-acquainted with the needs of passengers, no matter what the occasion might be. For funerals, our limousine fits right in with the procession, with its sleek lines and formal appearance. There is nothing that our Black Limo Service is unable to provide for your comfort and safety. Formal evenings out on the town, such as dining and dancing, nightclubbing, or attending the opera or symphony are special occasions that are just right for our elegant limo service. Our licensed limo chauffeurs are always neatly attired and will add a touch of class for your evening. Going in style is what it is called, and it is more economical than you might believe, especially when a group goes together. In these days of rush, rush, rush, it is wonderful to sink back into the back seat of our limousine and enjoy the ride. Perhaps a glass of wine would be nice, or a quiet time to read or catch up with business details. Our limo service vehicles are quiet and therefore you will drive in peace and serenity. Luxury at a fair price is what our black limo service is all about. While funerals are one of the most heartbreaking events one can experience, the love and kindness of friends and family at that time can mean a great deal to the bereaved. We can offer comfort without being intrusive, and can promise a smooth ride without any interruptions for any reason. Helping our limo customers in any way is one of the things we do best. The quiet efficiency of our black limo chauffeurs will ensure that you will have a drive that will be as comfortable as possible under the circumstances. 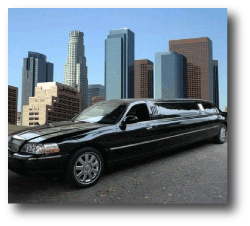 When all is said and done, our limousine service is more economical than you might imagine. Call us for quotes and a friendly customer representative will be happy to answer all your questions. 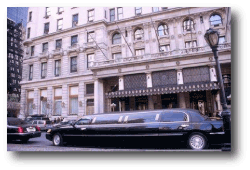 Our black limo service can be rented for an hour, an afternoon or evening, or the whole day. We have an outstanding record of safety and courtesy, which will mean a great deal in your complete confidence in our limo services.